Although snoring is mostly associated with men, several studies have shown that women also snore. According to one study published by sleepeducation.org, about 24 percent of adult women are habitual snorers. However, further research discovered the reason for snoring in females is typically caused by another condition. Whilst most causes for snoring should not give you cause for concern, it can cause irritation, tiredness and problems with your relationship. Below, we have detailed the reasons why women snore. If snoring is disturbing the sleep pattern of you or your partner, you should look into rectifying the issue sooner rather than later. Snoring can occur during pregnancy because of an increase in abdominal size. The uterus can press against the diaphragm and restrict the amount of air passing through to your nose and mouth. Your estrogen levels and blood count also increase when you are pregnant. This can cause mucus to collect in your nasal passage and block the airways. Weight gain has been found to be a significant cause of snoring in women, especially when the distribution of fat transfers to the neck. This causes an obstruction in the throat which forces air into a smaller space whereby the throat vibrates. Although studies have conflicting results, it seems that some post menopausal women can develop snoring habits in relation to sleep apnea. It is thought that female hormones protect the upper airway dilator muscles from becoming obstructed whilst you sleep. However, the decline of oestrogen and progesterone cause anatomical structures to collapse and the airways become narrow. 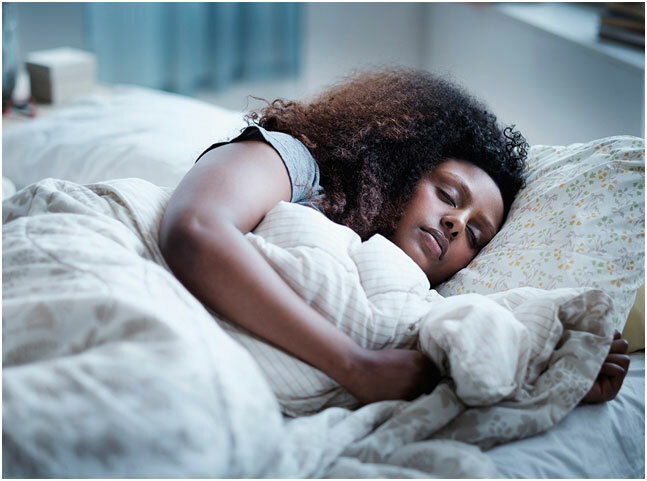 Women with busy lifestyles can develop hypothyroidism, and exhaustion has been linked with an increase in snoring and sleep apnea. The reasons for this are unclear, but one possibility could be due to how relaxed the muscles become during an intensely deep sleep which is natural for people suffering from exhaustion. The structure of your face could mean you develop a snoring habit later in life. Craniofacial features typically cause more snoring in men because they have a significantly larger pharynx than women. The face structure is therefore more prone to collapse. However, it is also possible that the airways in women will narrow when the anatomical structure of your face changes as you age. When the pharynx becomes tighter there is less space for air to pass through. Studies have also shown an increasing association between snoring and diabetes mellitus. Snoring is twice as likely to occur in women that have diabetes due to the influence of sexual hormones. The tactics you choose to prevent snoring may depend on the reason why you snore. General advice is to lose weight, avoid alcohol and try hormone replacement therapy. SnoreWizard can also help. We have specially designed pillows and a mouthpiece which prevent the vibration of soft tissues in the throat and neck. The stop snoring mouthpiece opens the airways to allow more air through, whilst the snore pillow levels out your neck in order to reduce the pressure on your diaphragm. If you’ve developed a snoring habit that is disrupting the sleep of you and/or your partner, SnoreWizard can help. For a good night’s sleep, contact us today.